Styrene, also known as vinyl benzene and phenyl ethene, is an organic compound with the chemical formula C6H5CH=CH2. Short on time? Let styrene sellers contact you. Styrene is produced in industrial quantities from ethylbenzene, which is in turn prepared on a large scale by alkylation of benzene with ethylene. Acrylonitrile butadiene styrene (ABS) (chemical formula (C8H8)x+ (C4H6)y+(C3H3N)z) is a common thermoplastic. Its glass transition temperature (ABS is amorphous and therefore has no true melting point) is approximately 105 ¦C (221 ¦F). It is an organic compound with the chemical formula C6H5CH=CH2. This derivative of benzene is a colorless oily liquid that evaporates easily and has a sweet smell, although high concentrations confer a less pleasant odor. Styrene oxide is a main metabolite of styrene in humans or animals, resulting from oxidation by cytochrome P450. 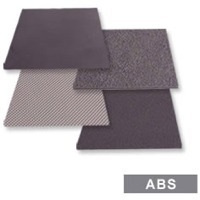 Styrene-butadiene or styrene-butadiene rubber (SBR) describe families of synthetic rubbers derived from styrene and butadiene. 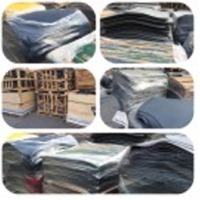 Typefast drying short û oil styrenated alkyd Delivery form 60% in xylene Composition solids % (+/-1) 60 And solvent	Xylene Physical constants Oil typesunflower / soya Oil length 33 Colour gardener û hellige	4- max. Viscosity (gardener-hotdt a25¦c) x û z1 Acid value (on solids)	13 - 17	Performanceraralkyd 1200x60, is a short oil alkyd resin styrene modified, And with very hard resistance performances and fast air drying, Suggested uses Yellowing resistance, good overcoat ability, good resistance To water and chemical oil. Suggested for hammer, primer and special finishing products. 190 kg/drum. 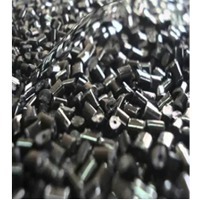 1- polymers virgin materials ( not scrap-not flakes ) : HDPE (high density polyethylene), LDPE (low density polyethylene), lldpe (linear low-density polyethylene), polypropylene, polybutadiene rubber (pbr), polyvinyl chloride (pvc), polyethylene terephthalate (pet), polystyrene (ps), acrylonitrile butadiene styrene (abs), chemical products olefin products, ethylene, propylene, hydrogen, pyrolysis gasoline, fuel oil (cfo), methane, and, gas oil D2 (500 ppm 0.05%),D2 (1% & 0.5%), butene-1, butadiene, petrochemical products.